A CORRECTIVE AND PREVENTIVE ACTION FORM IS USED TO INITIATE THE CAPA PROCESS FOR A NONCONFORMANCE EVENT OR TO DOCUMENT A PREVENTIVE ACTION THAT IS BEING IMPLEMENTED AS THE RESULT OF INFORMATION OR ANALYSIS FROM A QUALIFIED SOURCE. Medical device companies are required to establish and maintain a corrective and preventive actions procedure and policies in accordance with the guidance and regulations set out by the FDA and ISO for medical devices sold in the United States and around the world. The corrective and preventive action form - or CAPA form - is one of the most important tools of the CAPA process. When a medical device company identifies a non-conformance issue, it must invoke its non-conformance management plan, which requires it to identify the problem, document it, evaluate it, segregate instances of nonconforming product and dispose of it in the most appropriate way. If the evaluation signals to a quality manager that a corrective action could be possible, the issue is escalated using a CAPA form. The CAPA form is the mechanism by which nonconformance issues are initiated into the CAPA process so they can turn into business process improvements. WHAT'S ON A CORRECTIVE AND PREVENTIVE ACTION FORM? Problem Description - The form should have space for a detailed description of the problem. This section is filled out by the person who initiates the CAPA. They should include their name, the date, a detailed description of the issue or a link to the accident or incident report that does the same, a space for rating the urgency or severity of the perceived problem and how the event was discovered. Root Cause Analysis and Action Plan - This section should be completed by the person who conducts the analysis. They should describe what immediate action was taken to prevent recurrence of the issue, as well as their methodology and results in using root cause analysis to determine the source of the nonconformance issue along with other factors that could have contributed to the problem. Finally, a plan for corrective or preventive actions to prevent the non-conformance from recurring should be outlined here. Verification - A major part of CAPA is the verification that the solution worked. Once the action plan has been implemented, follow-up is required to determine whether the issue was adequately addressed. The date of verification and the name of the person who conducted the verification test should be documented here. Signatures: To comply with document control guidelines set forth by the FDA, medical device manufacturers must include space on CAPA forms for the signatures of the person who initiated the CAPA and the person who analyzed the CAPA and implemented the solution. These steps help to ensure accountability and traceability throughout the CAPA process. The FDA and authorities that regulate medical device companies around the world require the establishment and maintenance of a CAPA process within a medical device quality management system (QMS). Medical device companies must document all CAPA events, maintaining policies and procedures for implementing CAPA plans and following document control procedures in accordance with international standards and FDA guidelines. 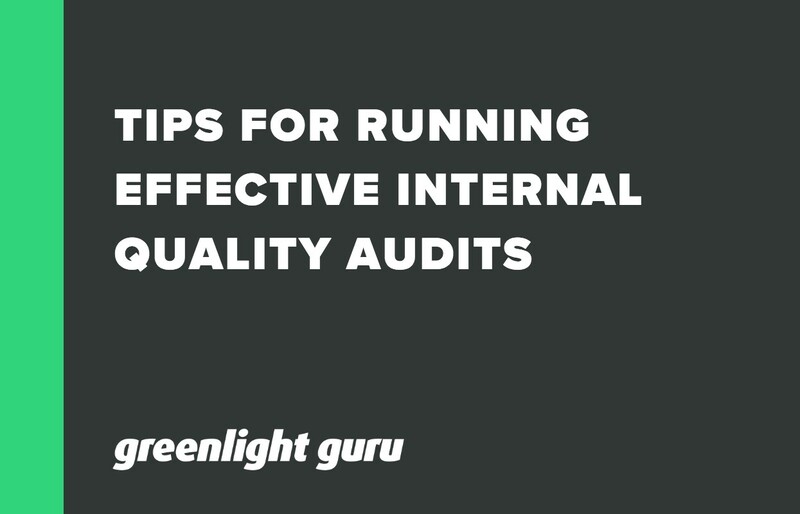 Greenlight Guru's Quality Management Software is the best way for medical device companies to automate their CAPA processes, streamline compliance, and put their focus squarely on quality by creating a single source of truth and information repository for all CAPA events. 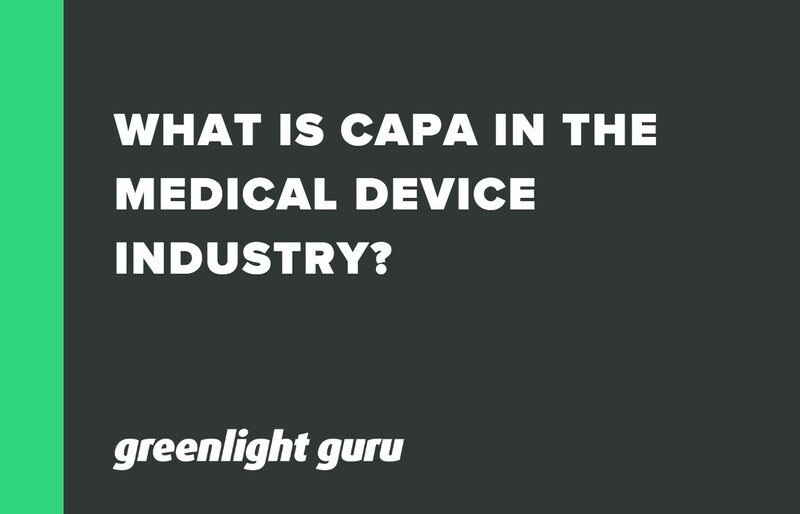 What is CAPA? Does your company have good processes in place for CAPA? Here’s what you need to know about Corrective Action and Preventative Action. Investigating any issues is part of your responsibility as a medical device company. 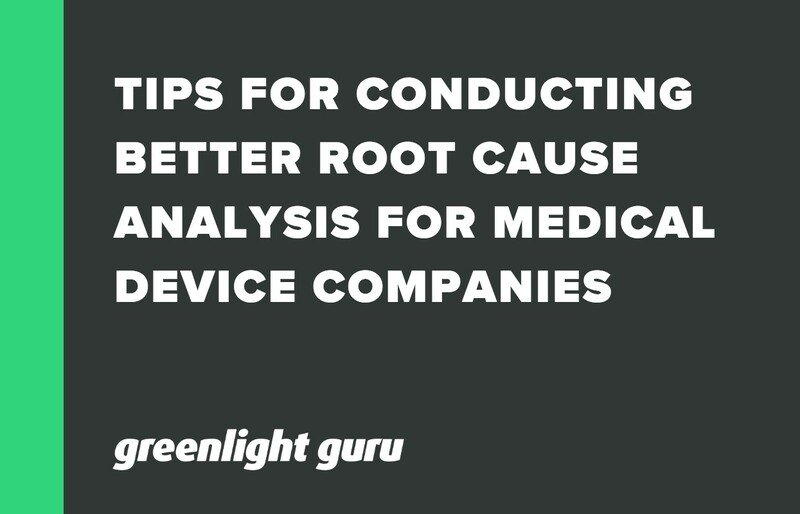 Here are some tips for root cause failure investigations.